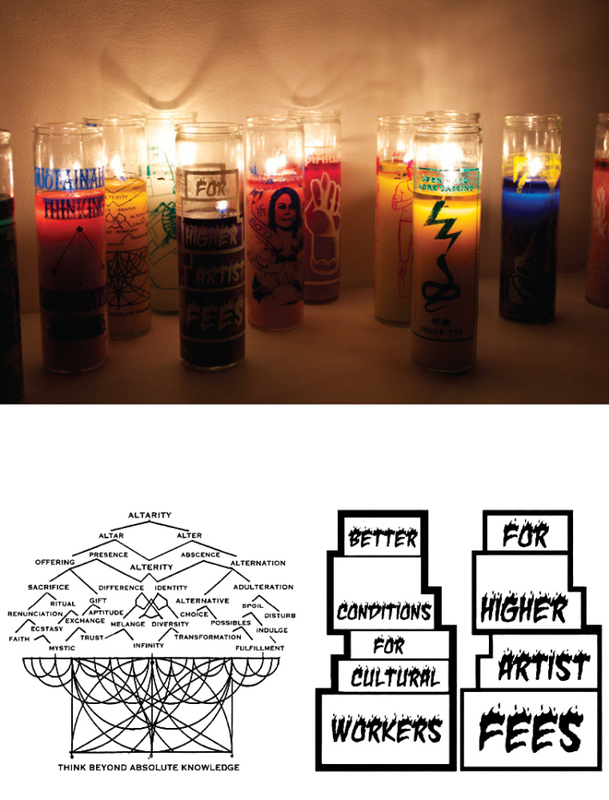 1000 screen printed candles / 12 designs and printed program booklets / 16 pages. 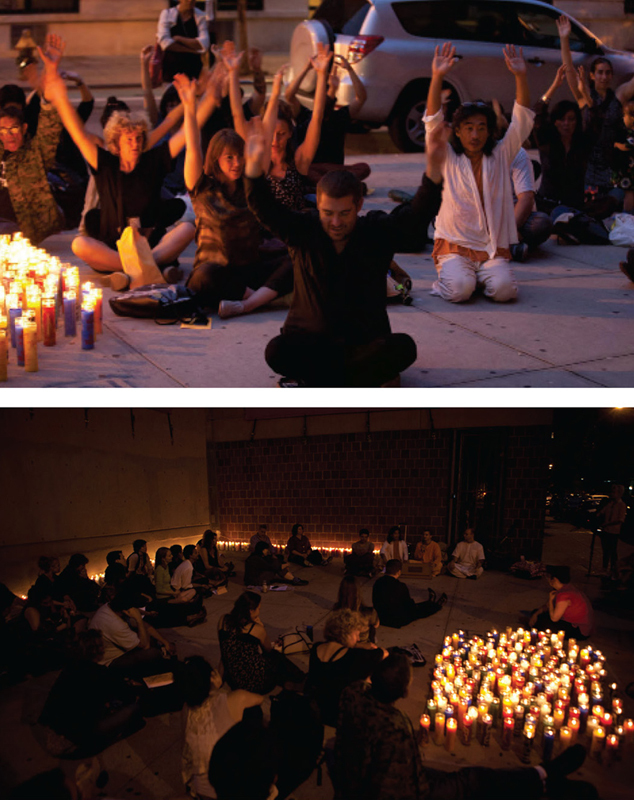 A collaboration with members of local religious, spiritual, and social activist groups living and working in the Lower East Side resulted in Offerings, a multi-faceted project that moves fluidly across belief systems and evokes illumination as a universal metaphor for transcendence. 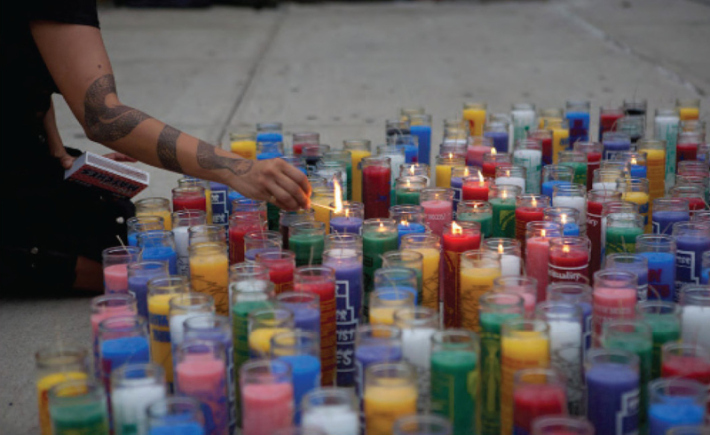 Working with hundreds of screen-printed glass votive candles as a medium and form that can be both customized and easily distributed, a series of 2 spiritually inclusive public shrines and candlelight ceremonies were designed to take place over the course of a weekend. Saturday Offering happened in front of the Lower East Side Preparatory School and was dedicated to Illumination and Pilgrimage. Sunday Offering was hosted by St. Marks Church-at-the-Bowery and revolved around Labor Rights and Immigration.